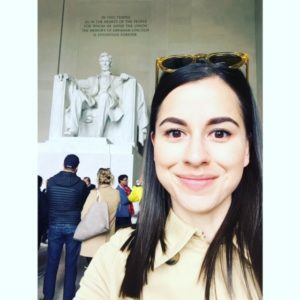 Jordan Alvillar, Brand Manager, Author at Build the Brand. Protect the Brand. 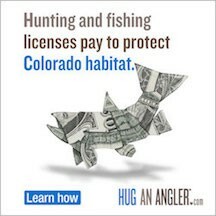 The Colorado Wildlife Council wanted to extend its existing statewide education campaign, “Hug a Hunter/Hug an Angler,” which focuses on informing the general public where the money goes from hunting and fishing license fees: benefiting wildlife management, conservation of public lands and Colorado’s economy. R&R Partners would step in to take the campaign to the next level, while introducing the client to new ways of reaching the target audience with dynamic creative, social media, and traditional and nontraditional paid media tactics. But first, a little background. In the early 1990s, a misinformed Colorado public would vote to outlaw spring bear hunting. And a few years later, it would include trapping on public lands. Colorado Parks and Wildlife (then known as the Colorado Division of Wildlife) was powerless to intercede. Special interest groups were taking away local sportsmen’s rights and disrupting the hunting and fishing heritage that was an essential attraction of Colorado’s great outdoors. Colorado’s sportsmen would organize as the Colorado Wildlife Council and work to protect the state’s hunting and fishing legacy by creating a pilot program with a comprehensive, media-based approach to educate the public (especially the non-hunting and non-fishing public) about the importance of wildlife and wildlife management. Hunters and anglers showed their support by agreeing to a voluntary check-off donation program to demonstrate that a statewide public education campaign had value. The program was such a success, it resulted in the bill HB1266 (Public Education License Surcharge) being passed in 2005 by the state legislature. This new law allowed permanent funding to be secured from a surcharge on hunting and fishing license fees to finance an annual statewide public education campaign. 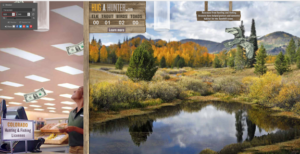 The campaign focuses on increasing awareness of the benefits of wildlife, wildlife management and wildlife-related recreational opportunities in Colorado (specifically hunting and fishing) – targeting non-hunters and non-anglers, and identifying the value of conservation, protecting wildlife and the benefits to Colorado’s economy. But after several years, the effectiveness of the campaign was waning. Confusion among Coloradans was building in regards to where funding for wildlife and wildlife management comes from, posing a threat to the campaign’s success. The council turned to R&R Partners to give the campaign a new lease on life. But, our vision for their new campaign would be anything but cookie cutter. Launched in March 2017, we gained valuable insights and consumer truths derived from our own research and discovery through a combination of non-hunters and non-anglers and supportive hunter and angler focus groups. From there we would develop messaging for a full-fledged, fully integrated campaign that included traditional, digital and social, and with a strategic media buy designed to reach voters that are more difficult to connect with. Our creative execution tells the story of where the money goes when someone buys a hunting or fishing license, while illustrating the positive impact of license fees and how they preserve and benefit Colorado’s wildlife, public lands and economy. The closing message, “even if you don’t hunt/fish, chances are you still love hunting/fishing” identifies that every one benefits. We also created content for the Wildlife Council’s social media channels (Facebook and Instagram), implementing GIFs and Facebook photos and video carousels. And we’ve developed attention-grabbing rich media assets that include educational online games for desktop and mobile. As for the effectiveness of the new campaign – we’re happy to say we’re getting our share of hugs from the Colorado Wildlife Council. So far, just four months into the campaign, we’ve achieved some impressive metrics. We’ve garnered over 150,000 website visits to HugaHunter.com. The campaign has earned more than 13,500 “Likes” on the Colorado Wildlife Council’s Facebook page. And the total number of impressions achieved so far have reached over 30 million, through display, video, social media, digital radio and rich media. 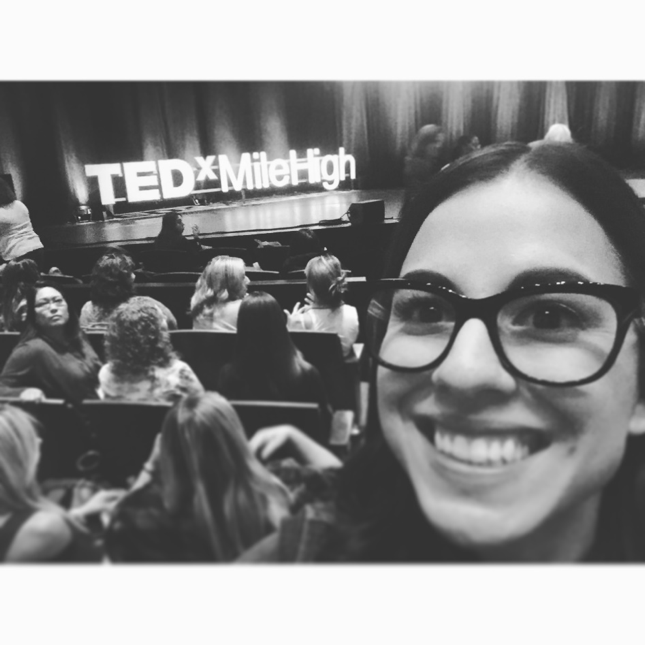 Recently, I attended the TEDxMileHighWomen, “It’s About Time,” speaker series in Denver, Colorado. Describing it as a “speaker series” would be incredibly dishonest. For me, and I think for all 2,800 female/male attendees, it was so much more; a spiritual awakening. TED, created in 1984, came to be by Richard Saul Wurman. Three fields of study drove his inspiration for what would become TED: technology, entertainment and design. What was once a simple conference, TED rose to success in 1990 and quickly became a viral video phenomenon. Suddenly, a community of people with passion to change the world had a common forum to coalesce around. Presenters include scientists, philosophers, musicians, business and religious leaders, philanthropists and others. I knew immediately I was in for something huge as I entered the TEDxMileHighWomen event. Something that would light a fire deep in my belly; I could feel the match falling fast down my throat as the venue’s lights dimmed and the event began. The energy was high and the room was full of individuals who attended this event for something we all crave in career and life: to be inspired. This particular event included solely women speakers from the Mile High City, and it was promised that all individuals would leave with another woman’s dream at the forefront of their minds. She’s right. Though our country has come a long way as it pertains to women’s rights, there is still work to be done to ensure that all girls’ and women’s voices are heard, and not just because we are begging people to listen. TED empowers women to question the status quo while nurturing their passions, and it acknowledging their fears, without judgment. It also provides a community that gives a voice to the “thinkers” and “doers” – who often feel undervalued and unnoticed. Out of all the phenomenal speakers (there were 12 total), the moment that hit me the hardest was the applause that followed Christen Reighter, who delivered a powerful presentation that recapped her journey to become surgically sterilized. With this decision, she relived with the audience her personal discovery that society desperately clings to a woman fulfilling the assumed role of mother, without a woman’s consent; that her identity and worthiness is not a choice she makes herself but is rather associated with titles that are forced upon her. She shared the judgment she faced from her friends, family and even her doctors—some whom even refused to perform the (highly legal) procedure for her. She felt dismissed, silenced and vilified – for doing nothing more than making an informed decision regarding her own body. When her presentation ended, all attendees stood from their seats and gave an extended applause, causing Christen to bring her hand to her mouth as her eyes welled up with tears. When our emcee Lauren came back to greet her, she placed her hand on Christen’s shoulder and said, “If before you felt invisible, please look around this room and remember, you are not.” It was a beautiful moment I felt so honored to be part of. As a gay woman, I certainly find myself feeling invisible in society’s eyes. In discouraging times, I remind myself how fortunate I am to work for a firm that celebrates and champions who I am. After the November election, our CEO Billy Vassiliadis assured our staff that R&R would always fight on behalf of its employees to protect their rights and well being. These were words I needed to hear. To hear them from my firm’s leadership was poetic and gave me hope for the future. Ultimately, all people deserve to be seen. Whether it be attending a speaker series, or reassuring words from my CEO – these are the moments that show me that I am not invisible.